Reading these poems, time after time I’m struck by how lithely and beautifully they move from line to line; there’s a surface ease to these poems that belies their deep investigation of self and identity in the world of things and relationships. 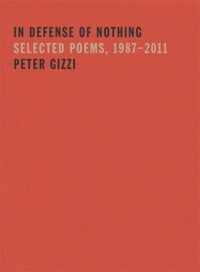 In fact, his poems can be described as ‘a picture / inside a question inside / the coming night’. He is – like so many late-modernist poets – a lyric poet who constantly questions the lyrical. It seems the shadow of Adorno spreads over modern poetry like a shroud: how do you write beautifully in a world that isn’t beautiful? These poems are not directly political; they’re not protest poems about the latest political atrocity. The poems in the last collection here, haunted by the deaths of family and friends, are not strictly elegies; but the ghosts are there all the time, asking questions, looking out from between the lines. One can discern some of the influences behind this poetry: Ashbery for instance, in the use of seeming non-sequiters, James Schuyler and a kind of generalised New York School influence that includes Berrigan and others. There is a curiously pastoral nature to some of the poetry, though it’s often a dirty one, full of human detritus and questioning. Language poetry is also an influence, but this is nowhere near as forbidding as some of that school. He is constantly questioning language and its limitations, poking at the edge of lyricism; but it’s less combative. The wars are going on elsewhere, but the poet is still involved, at a distance. That poem goes on to question the pronouns: who is the I, they, you (plural or singular?) but the real world is never too far away (‘when I am a tiger in the DMZ’). These are poems to meditate on and think about. Philosophical and at once quiet, they constantly disturb their own beauty by making you return constantly to the question of how to live in this wonder-full but violent world.